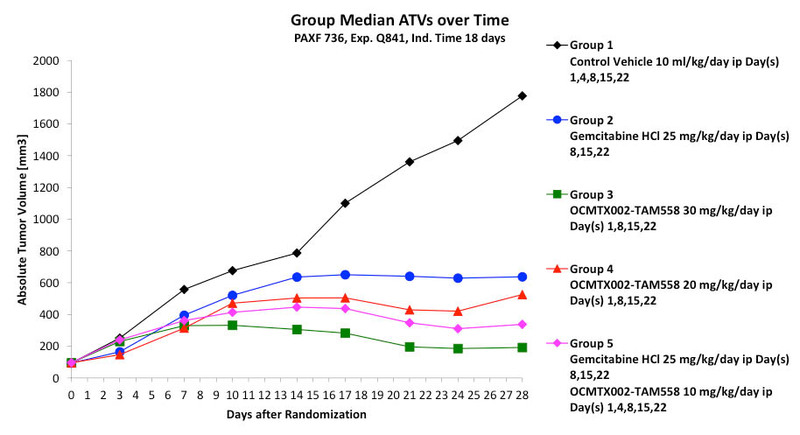 The in vivo antitumoral efficacy of Oncomatryx Anti-MTX5:Cytolysin ADC, OMTX705, was tested at two different laboratories, in several different pancreatic cancer patient-derived subcutaneous xenograft murine models. 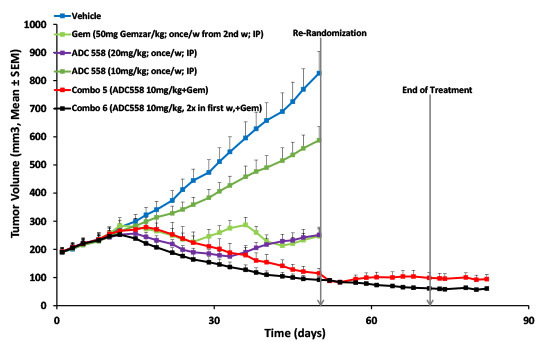 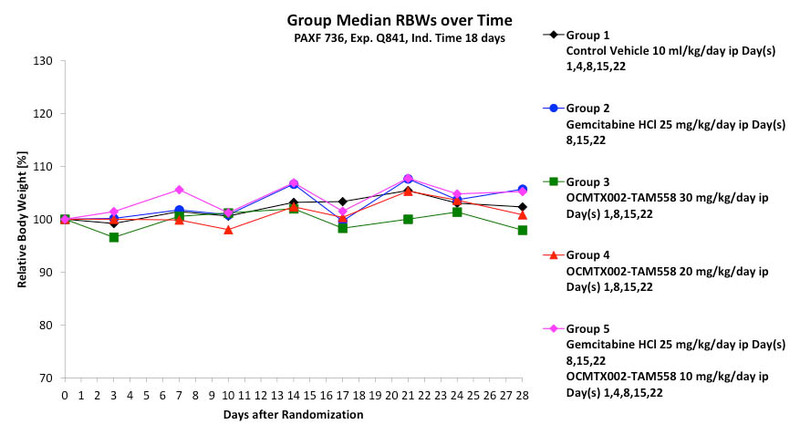 OMTX705 led to 100% tumor growth inhibition as single agent and even tumor regression when combined with Gemcitabine and/or Abraxane. 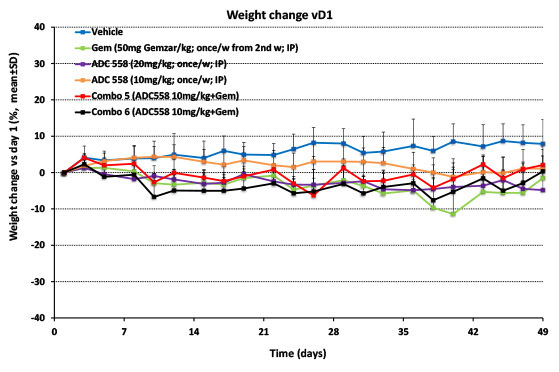 No mice weight loss occurred when administering OMTX705-558, as single agent or in combination with Gemcitabine and/or abraxane.